DGP Anurag Sharma said even at the border it was the police, Indo-Tibetan Border Force (ITBP), Border Security Force (BSF) and Assam Rifles who check the enemy first. 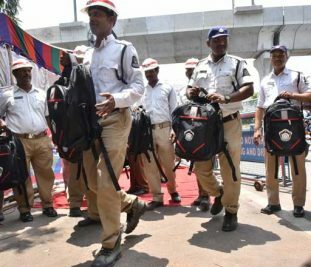 Hyderabad: Director-General of Police Anurag Sharma on Thursday said on an average 500 police officers were losing their lives every year across the country while on duty. “On borders, the border is clear and anyone who crosses it is our enemy. Whereas in internal security, we do not know who are our enemy and friend and every time, the police must be totally alert,” he said. Anurag Sharma after flagging off three publicity vans which will tour all districts to make people aware of the importance of Police Commemoration Day, said even at the border it was the police, Indo-Tibetan Border Force (ITBP), Border Security Force (BSF) and Assam Rifles who check the enemy first. The police are always with Indian army working with it shoulder to shoulder. The police force is definitely not so trained well and equipped. 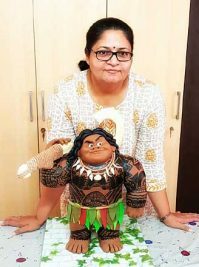 Work pressure won’t allow them to spend time with family and there is no time for training, he said while adding, “So, the sacrifices made by the police should be acknowledged by everyone”. He also launched the Indian Police Martyrs Memorial Run (IPMMR) website www.policerun.in. To participate in the Run to be held on October 15, citizens can register through the website. City Police Commissioner M Mahender Reddy has launched Facebook page www.facebook.com/policerun2017 and Additional Director-General of Police (Organisation and Police Reforms) M Gopi Krishna launched twitter page @ipmmr2017. 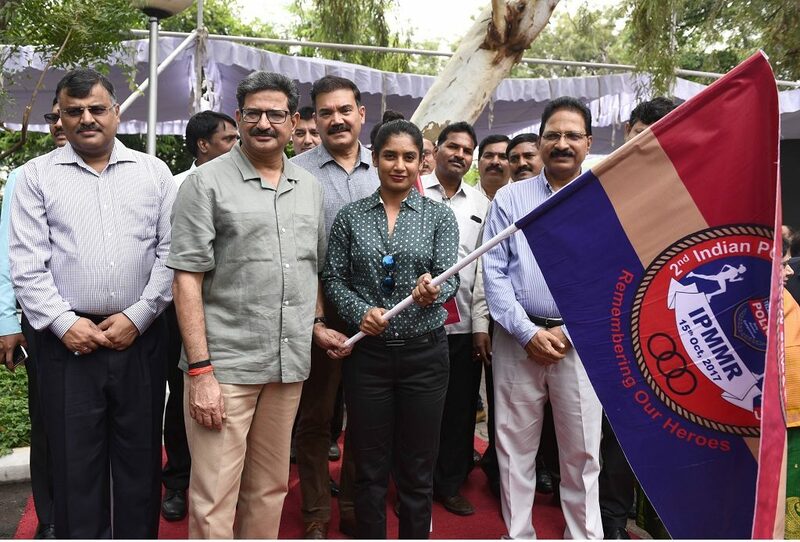 Indian women’s cricket team captain Mithali Raj, who launched promotional video of IPMMR- 2017, said she would contribute for the promotion of the police in recognition of their sacrifices. Additional Director-General of Police (Law and Order) Anjani Kumar, Raja Bahadur Venkat Rama Reddy (RBVRR) TS Police Academy Director Jitender and other senior police officers also participated.